Editor: Today is the 45th anniversary of Earth Day. More than 1 billion people are said to participate in Earth Day activities each year, making it 'the largest civic observance in the world'. This year there is a heightened level of global consciousness and conversation around the urgency to deal with climate change. The newly announced conference to be hosted at the Vatican on 28 April entitled '“Protect the Earth, Dignify Humanity" The Moral Dimensions of Climate Change and Sustainable Development', Pope Francis' much anticipated encyclical on the environment expected in June or July, the Open Letter from Global CEOs to World Leaders Urging Concrete Climate Action ... these are just three of the initiatives in the lead up to The UN Climate Change Conference of the Parties 21 (COP21), to be held in Paris in December 2015, that give hope and signal possibility for change. In this issue of Mercy eNews we share stories of just some of the many and varied activities of Mercy people to care for the environment and ensure the future of our planet. 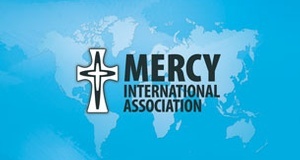 We welcome for future publication stories of how you and your community or Mercy ministry are addressing this priority issue of Mercy International Association. Today there is an opportunity to sign what is being termed 'the largest climate petition to save the world'. 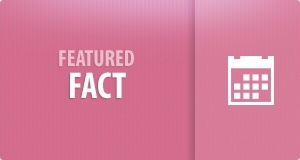 You can do that on the homepage of the Earth Day website. We continue to welcome reports on how you are using these reflective materials personally, in small groups, in community and congregational meetings, with staff and board meetings... so that others may benefit from this wisdom. This coming Sunday, the Fourth Sunday of Easter, is the World Day of Prayer for Vocations. We invite each member of the Mercy family - Associates, Partners-in-ministry, Donors, Friends - to pray our MIA Prayer for the Year of Consecrated Life on Sunday for the Sisters and the Sisters to pray it for each other. Let us pray also that the God of Mercy will continue to bless the Mercy family with people prepared to witness to the mercy and tenderness of our God as Religious, Associates and Partners-in-ministry in a world so in need of God’s compassion and consolation. 25 April marks the centenary of the landing at Gallipoli where, before the campaign ended in January 1916, 44,150 Allies would lose their lives in an effort to secure the peninsula and 86,692 Ottoman soldiers would die in defence of their homeland. For over 8 months troops from Australia, Great Britain and Ireland, France, India, and Newfoundland battled harsh conditions and Ottoman forces. Total casualties amounted to 392,856. Considered a 'heroic but costly failure', for both Australians and New Zealanders Gallipoli is a household name, a common tie forged in adversity and a symbol of national identity. Let us pray with the relatives and communities of those who lost their lives in this campaign, in World War One— "The war to end all wars" —and in all the wars fought since. Let us pray with renewed vigour today for those parts of our world where there is conflict, unrest or uncertain peace, that peace will be restored. 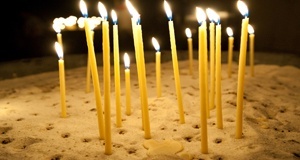 While remembering in prayer the victims of this tragedy, MIA asks the Mercy family to pray that the Heads of State and Government meeting on Thursday will, in the words of Cardinal Marx, 'work to find concrete proposals for the establishment of human asylum and migration policies supported and implemented in solidarity by all member states of the European Union'. We also ask for continuing prayers for all who set out from the land of their birth, risking everything in search of freedom and a new home, that they will find welcome and safety. God of love and mercy, touch with your healing power and restore to full health: Baby Ned Perry, Peter O'Reilly, Brian Clarke, Robyn Bland, Brother Austin Coleman SSS and all whose names are on our prayer list. 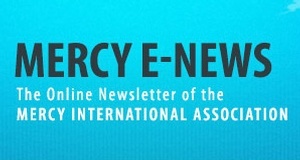 A reminder that Mercy eNews is available without charge to all members of the global Mercy family and to anyone who is interested in the vision and mission of Mercy International Association (MIA). Editor: St Joseph's Mercy Health System challenges itself to work on 'better health from the inside out'. One of the ways it does this is through its farm. 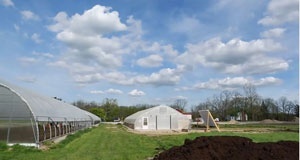 Begun just over 5 years ago on 4 acres of ground, the farm now covers 25 acres. As the farm has expanded its acreage, so has its output, with a community garden one of its features. 'The farm at St Joe's' as its known, grows crops year round, providing seasonal ingredients for patients' meals. Produce is sold at local markets with excess donated to the Food Gatherers Weekly, the local food rescue and food bank program. The farm also provides opportunities for rehabilitative therapy. 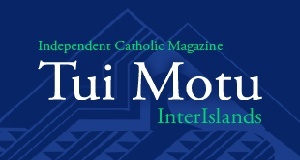 In this third article in the series published in 'Tui Motu InterIslands', an independent Catholic journal, Elaine Wainwright rsm explores Mark 3:20-27 and the New Testament worldview as a way of understanding demon possession. 'Last month’s ecological reading article closed with Jesus casting out demons (Mk 1:39) — “many demons” in an earlier verse (1:34). We gave this demon theme brief attention yet it is one of the key characteristics of Jesus’ ministry in Mark’s gospel, ' writes Sr Elaine. St Joseph's College Maine has announced that at its annual Commencement Exercises on 9 May 2015, Mary C Sullivan rsm will receive an honorary Doctor of Humane Letters degree. Sr Mary is one of five persons who will be conferred with an honorary degree at this year's Commencement. 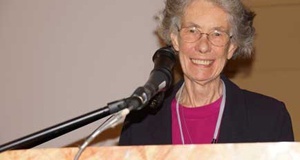 Sr Mary, who is professor emerita of language and literature and dean emerita of the College of Liberal Arts at the Rochester Institute of Technology, is well-known throughout the Mercy world as an authoritative speaker, retreat giver and writer on the life of Catherine McAuley. Our Daily Bread is a half hour cooking show which brings a Catholic presence to the secular TV markets in the eight counties of Western New York, and Southern Ontario. Hosted by Fr. Paul D. Seil, Our Daily Bread follows Jesus' example by inviting people into his kitchen and sharing food, fellowship and faith. Our Daily Bread is produced by Daybreak Television Productions, the television component of the Catholic Diocese of Buffalo. To help celebrate the Year of Consecrated Life, Fr. Paul D. Seil invited Jennifer Wilson rsm who is taking her perpetual vows on 2 August 2015 and Michael Sajda, OFM Conv. into the kitchen to talk about their vocations. That show screened on 11 April. NB: First Fr Paul cooks chicken in a pot. Sr Jennifer appears at 10 minutes 30 seconds into the program to share her insights and her cooking skills. 'It's 12 years since author and 'geologian' Fr Jim Conlon was here from the Sophia Center in California, insisting that in fidelity to Catherine McAuley, Mercy people today need "listening hearts" that can hear the poor and voiceless. "The invitation is to awaken to the realisation that where we stand determines what we see, and that Mercy's position on this planet is to stand with the children and the poor of every species on this sacred Earth. 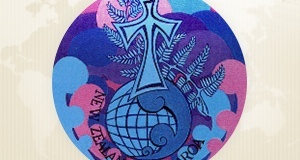 Papatuanuku Ki Taurangi (Earth Promise) was developed by the Sisters of Mercy in Aotearoa New Zealand as a community working for a just and sustainable Earth with women, children and families in local areas.The Sisters moved into the community house in February 2001 and from that time developed the Community Garden and planted trees on the property. 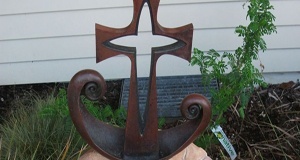 The garden is a place for teaching and learning as well as providing food. It is based on permaculture and organic principles, and is designed as a place of beauty. Hospitality is core and whoever comes is welcome. and look at the Centre in the light of Catholic social teaching. 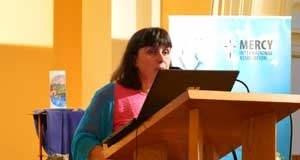 In the 18 March issue of Mercy eNews, we made available Sr Carmel Bracken's presentation given by her during the MIA 20th Anniversary celebrations at Baggot Street last September. For those readers who wish to access the presentation in English in the various formats, these are linked to this item. 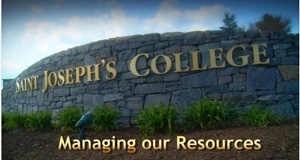 Editor: Saint Joseph's College of Maine (SJC), founded by the Sisters of Mercy in 1912, is located on 474 acres along the shore of beautiful Sebago Lake in Standish, Maine, just 18 miles (29 km) northwest of Portland, Maine’s largest city. 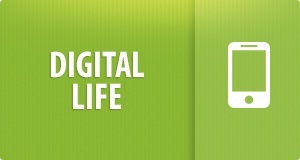 SJC offers courses for on-campus and online students. SoulWinds is located on the Little Kennisis River in the Algonquin Highlands of Haliburton County in Ontario's near north in Canada. 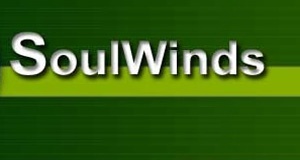 SoulWinds is the home of Brenda Peddigrew rsm, Ph.D. and Joan Weir, N.D., who tend the land in all its seasons and offer consultations, teaching and guidance in their respective fields and in many ways to be in nature's presence. 'Solemnity of mountain strengthen us. Crescent of moon shield us. Wand of star guide us. Fall of leaf teach us. Circle of love companion us. - Anne Powell r.c.,'Litany' from Tree of a Thousand Voices (2010). Details of how to order Sr Anne's poetry books can be found on the website of the Cenacle Sisters Aotearoa New Zealand/Australia. 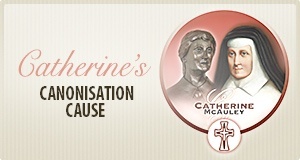 Editor: We are grateful to Sr Mary Joella Cunnane, former Chicago Regional Community Archivist, for her advice that we published incorrect information regarding who commissioned the Catherine McAuley image in 1981. 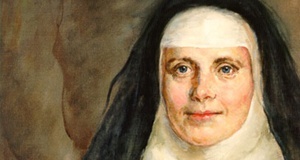 The Catherine McAuley painting by Cloy Kent was commissioned by Sister Mary Venarda Lance and the Administration of Mercy Hospital, Iowa City…Chicago Regional Community, not The Cedar Rapids Community. (1981) . 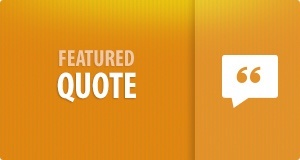 The listing in the resource section has been updated. Project Yosemite (yoh-SEM-it-ee) is a time-lapse video project set in Yosemite National Park, California. These two short clips show the breathtaking beauty that is Yosemite. Watch the clips here. 'Famed economist Jeffrey Sachs, who is now a special advisor to the secretary general of the United Nations, has called on Pope Francis to press the global body to include the fight against human trafficking among its 17 new sustainable development goals'. 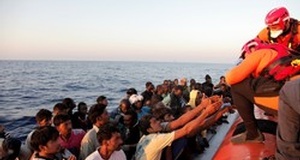 The article 'Pope urged to press UN on fight against human slavery' can be read here. 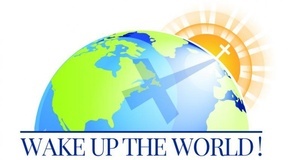 The Press Release and Joint (Vatican and LCWR) Final Report published in response to the announcement on 16 June of the Congregation for the Doctrine of the Faith concluding its mandate regarding LCWR can be accessed from LCWR's website.